Change and innovation are key factors for any organization to maintain its competitive edge. How well are you managing the innovation value chain? How market-oriented and sustainable is your innovation? 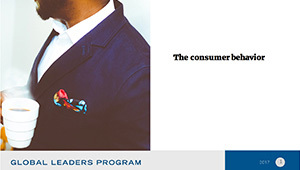 Are you fully aware of new consumer behavior and trends? I believe that because every challenge is unique, there should never be a generic solution. Consequently, creative thinking is the capabilities to address complex challenges in a smart and perfectly suited solution to the situation. Do you apply design thinking? Do your marketing initiatives engage with your audience? Does your brand have the ‘WOW’ factor? 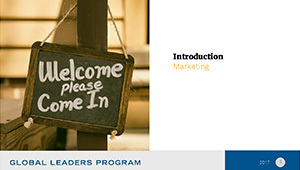 Do your marketing activities lead to high conversion? Is your platform up-to-date with the latest digital devices? Strategy is not always planned as most people think. It can emerge after a specific hurdle, or it can be stimulated through deliberate actions. 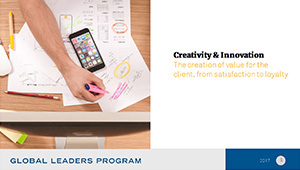 How well are you responding to value creation challenges? Are you benefiting from the emergence of new business models? Is your competitive advantage sustainable enough to stay ahead of the competition? How well are you prepared to the industry changes? Who the heck is Richard? 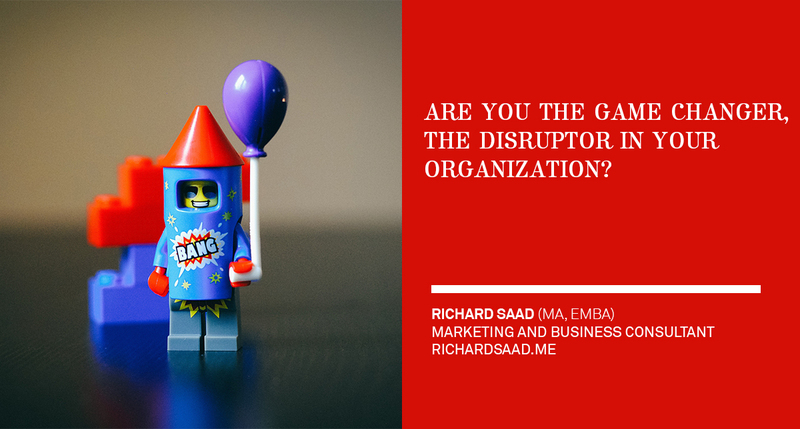 Richard Saad is a marketer and business executive with more than 15 years of experience on the international and the Canadian market, he has won prestigious industry awards and has worked on major accounts such as Pepsi, Audi, Government of Quebec, IKEA, Gulf Bank, Yellow Pages Group, Bombardier, Quebecor, Pfizer, and many more. In 2008, Richard founded Remarkable Communications, a full-service agency based in Montreal. At the helm of the company, he led numerous digital projects and ensured a high level of creativity in all of the work delivered by the agency. In 2013, the agency was sold to LMG Group, a firm from Quebec city that was seeking the Montreal market. Since the acquisition, Richard helps clients achieve their business objectives by developing customized strategies that engage customers in meaningful and measurable ways. In this day and age, it is essential to stay ahead of marketing trends and the innovation curve. 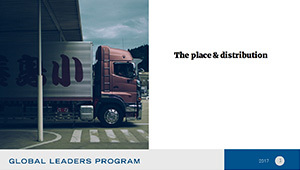 Thus, Richard is continually refining his new tactics allowing brands to remain at the forefront of consumer shifts. 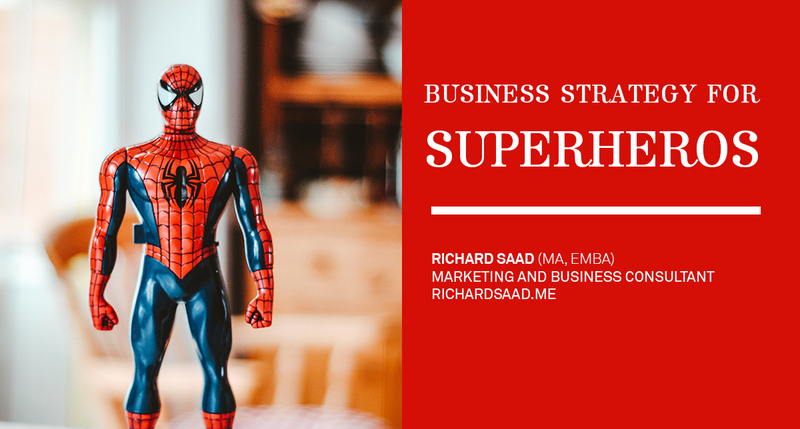 Besides his full-time consultancy work, Richard shares his passion for marketing by teaching MBA courses at HEC and at the Global Program Leader in Washington. Throughout his years of experience, Richard has combined strategy and creativity to achieve results and engage users in compelling experiences. A natural leader, he is skilled at establishing creative visions and managing teams to efficiently deliver quality work that is consistent with the brand. He believes that managing teams requires inspiration, problem-solving, passion and the ability to channel each individual’s strengths into common goals. 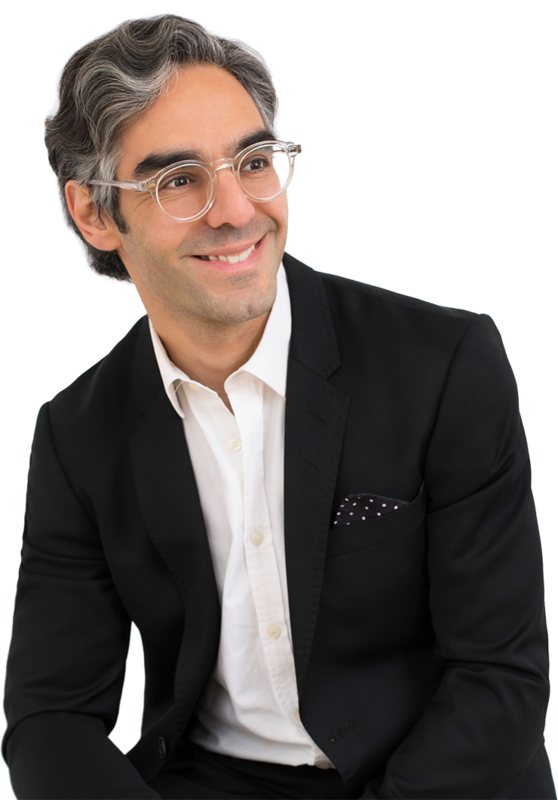 He earned a Master’s degree in communications and marketing, from Laval University, as well as an Executive MBA from McGill-HEC. He also possesses a Bachelor’s degree in Art and Advertising from the University of Montreal and a diploma in Graphic and Multimedia Design from the International Academy of Design. Why Richard’s is your Man? Nowadays, organizations have to maintain growth by managing current activities while capitalizing on upcoming opportunities and trends. The Three-Horizons concept describes how value can be created through three timeframes also called Horizons. The capture and the creation of value rests in the market you serve, often that we overlook the industry needs and the audience desires. 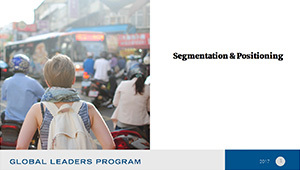 You explore value through market research and by analyzing the organization’s internal capabilities and vision. In today’s economy, it is not enough to solve a problem. You need to create enough value that the customer is willing to pay in exchange to your solution. Designing the value consists first of all of identifying the right audience for our solution and its geographical market. Secondly, you need to establish the product “positioning” that allows the product/service to stand out from the competition. 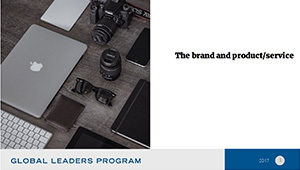 Then you create a brand that tells your story compellingly and engagingly. Communicating the Value is one of the marketing main’ role. Once the value is created, it then needs to reach the right audience with the right message at the right time. You communicate the value through an integrated multimedia approach based on your audience behavior. 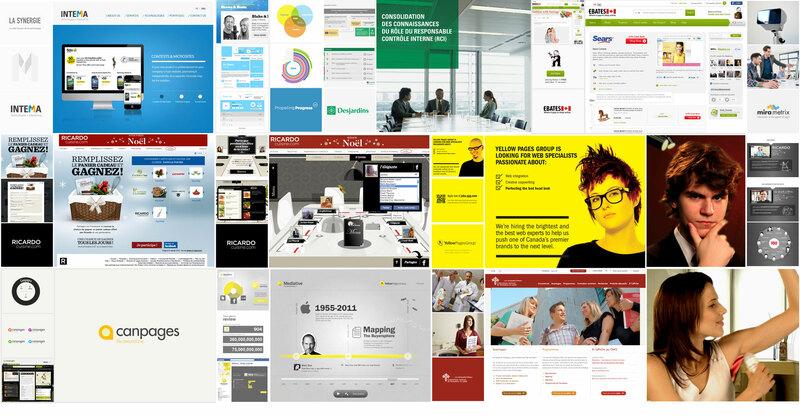 The goal is to maximize the reach of your message with customization and relevancy. The delivery channel can become very complex depending on the type of product and the context. Today, we often see a hybrid model where products are distributed directly from the manufacturer to the end user along with distributor under certain conditions. We often hear of an omnichannel strategy where the purchase of a service/product can be done through various ways. 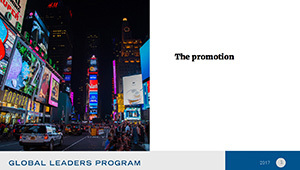 The Mix-Marketing, also known as the 4Ps (Place, Product, Promotion, Price) play an important role in the value delivery process. Exchanging value can also be interpreted as revenue models. Many revenues strategies can maximize the return on investment. 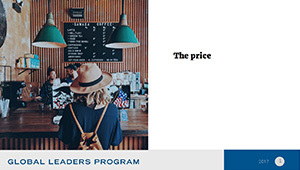 Whether it is a pricing strategy such as price skimming or pricing tactics such as dynamic pricing, there is a model for each situation. Business incubation creates value by incubating and accelerating ideas that explore white spaces relevant to the core business and its adjacencies. Also, it helps the company finds new business models and applications in the next 3-5 years. Joint venturing is when two organizations combine its forces to create new solution/product that will address future needs within a 3-5 years’ timeframe. The two models are either “Inside Out” which means taking a role of a supplier by providing the technology/solution while the other party handles the commercialization part, or “Outside In” which is the other way round. Partnering is becoming a new propeller for value creation. Creating value through diversification can be achieved through venture capitalism. This strategy allows the company the monitor of innovations and technologies in development. Diversification through investing in start-ups can be a viable strategy when capitalizing on new trends and upcoming opportunities. It allows the company to access new ideas and talent. Investing in various start-ups helps mitigate the risk when there is future uncertainty due to 5-10 years’ timeframe. For organizations, the quest for growth has become a difficult challenge to achieve and maintain. We are living in a volatile business environment which is dominated by fierce competition, a constant change in consumers’ behaviour and a fast pace of technology. 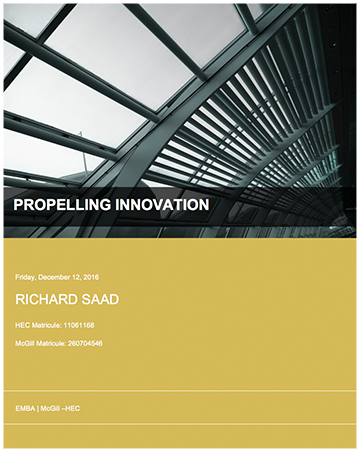 For companies to stay ahead of the curve, innovation is becoming one of the primary strategies for growth. It focuses on building a sustainable edge for the organization by creating a new offering that has high value in the eyes of the target segment/audience. There are several strategies such as corporate venture capitalism, Internal venturing and business incubation as well as joint venturing that initiate innovation. What are the differences of these strategies and their impact on the corporation? When, how and why do we apply them? This paper aims to help organizations regardless of their sectors to stimulate innovation through models that address their real challenges and business goals. 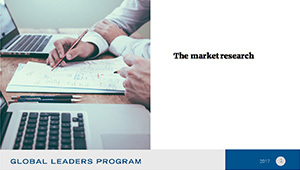 The study focuses on literature review, case studies, interviews with corporate business strategists, corporate venture capitalists and managers of innovation labs as well as other subject experts related to the research. 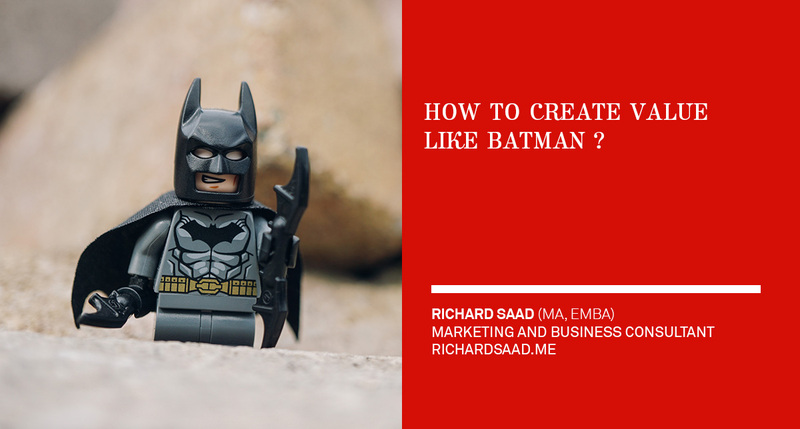 How to create value like Batman! 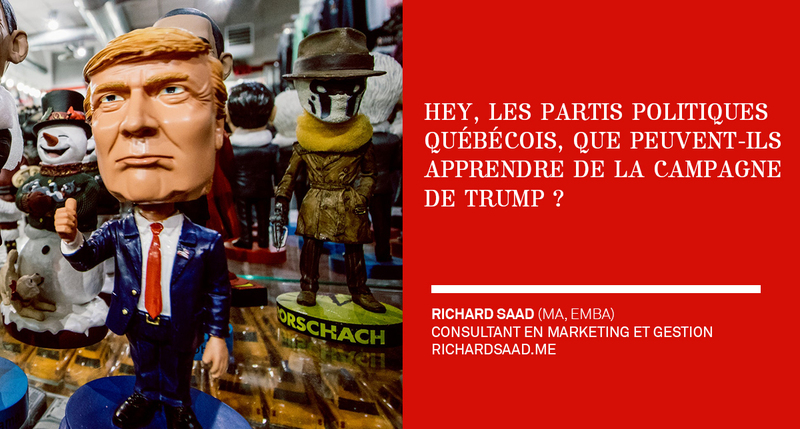 Hey Quebecois Candidates!? It is time to Trump your campaign like a pro.